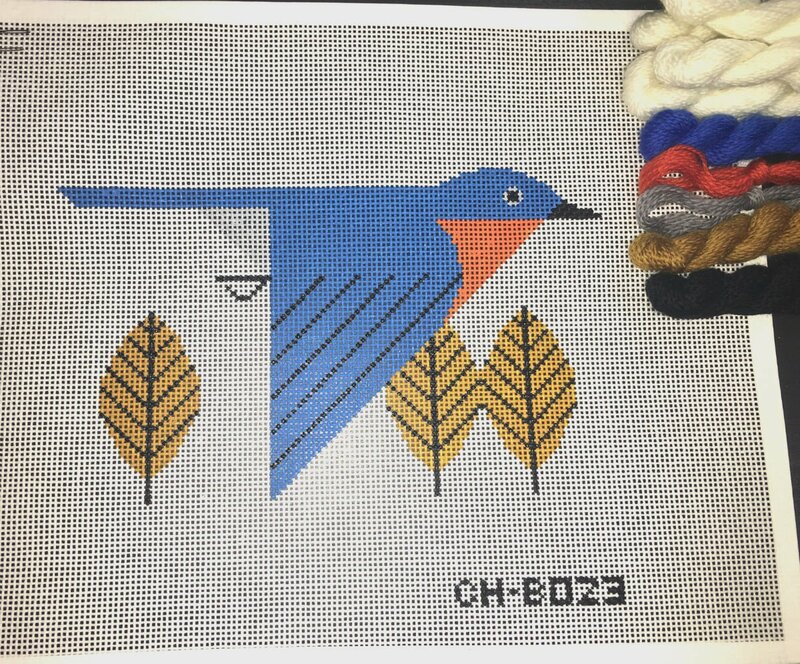 The Charley Harper Bluebird needlepoint design is professionally hand-painted onto 13 mesh Mono Zweigart needlepoint canvas. Each stitch is painted a specific color so there is no guess work as to what color goes where - easy for beginner needlepoint artists! The needlepoint design area measures 8.5" x 5.5". If you require stretcher bars to keep your canvas taut while you stitch (optional - you can absolutely work this in hand if you prefer) we recommend a pair of 12" and a pair of 9" with thumb tacks. This Cardinals Consorting Bluebird needlepoint canvas is usually in stock and ships within a few days. However, due to the popularity of Charley Harper canvases it is subject to back order so if you're in a hurry let us know.